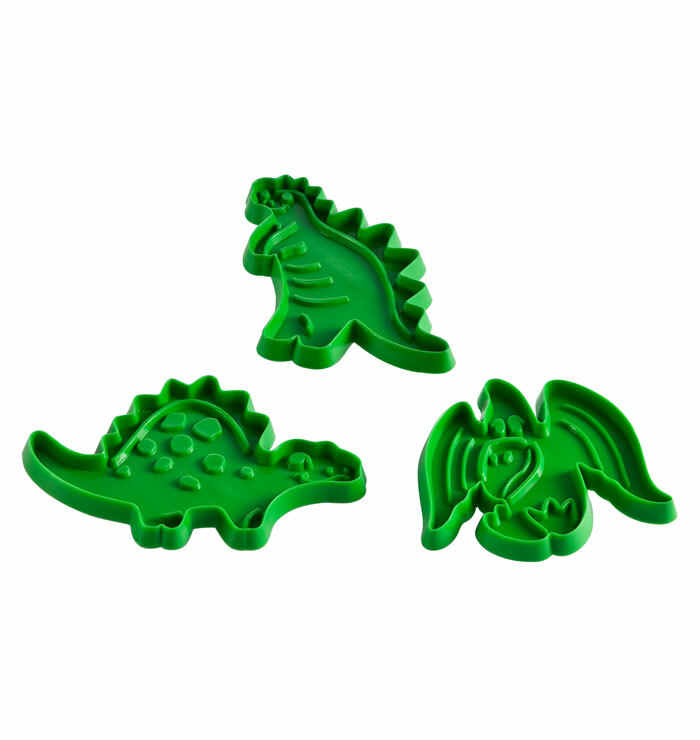 Set of 3 Dinosaurs cookie cutters. 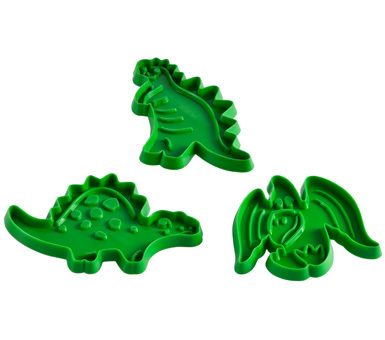 Solid back leaves a lasting decorative impression on the dough. Handles make cutting easy. Made in the USA.